After obtaining its first engineering and calibration images, the SPECULOOS (Search for habitable Planets EClipsing ULtra-cOOl Stars) project, led by Michaël Gillon who is head of the ExoTIC research group at the University of Liège, will begin its scientific activities in January 2019 at the ESO’s Paranal Observatory in the Atacama Desert in Chile. 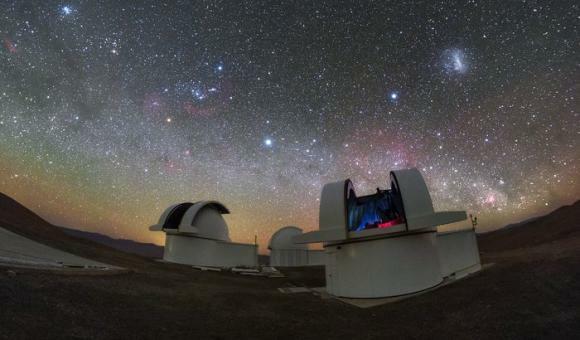 There was a good reason for choosing the Paranal site. It is based in a dream location for astronomers, with dark skies and a stable, arid climate, two perfect conditions enabling the SPECULOOS project to succeed in its mission to detect potentially habitable, Earth-sized planets orbiting stars that are much smaller than our Sun and known as “ultra-cool”. Although these small stars are difficult to observe, they represent no fewer than 15% of the stars in our galaxy. SPECULOOS is designed to explore 1,000 such stars, including the nearest, brightest, and smallest and to detect, orbiting some of them, exoplanets that are similar in size and mass to our Earth. This will also provide the opportunity to analyse the atmosphere of these worlds with larger telescopes in order to search for, among other things, the chemical traces of life. But how does it work? When a planet passes in front of its star, it blocks some of the light coming from that star. In fact, it causes a sort of small partial eclipse and a subtle but detectable dimming in the measurement of the star’s brightness. The smaller the host star, the larger the eclipse signal, which makes it easier to detect small Earth-like planets. This so-called transit method is used by SPECULOOS due to the work and collaboration between the universities of Liège and Cambridge.